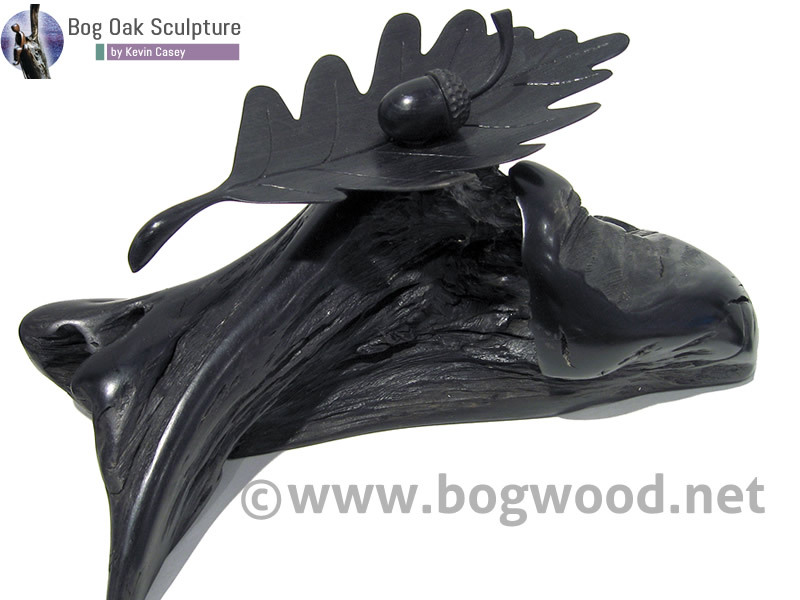 The “20th Century Remembered” sculpture in bog oak is approximately 16cm in size. 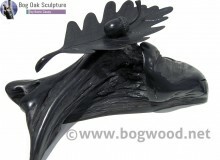 The main section which also acts as a base is made from bog oak in its natural form. 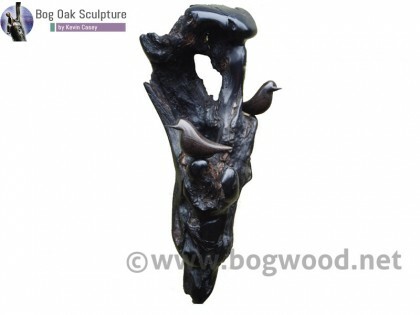 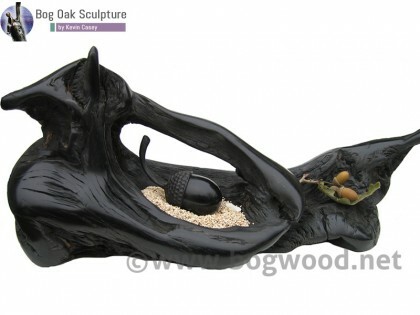 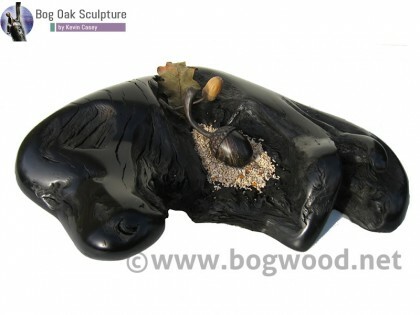 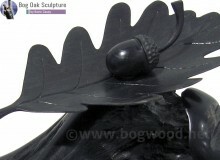 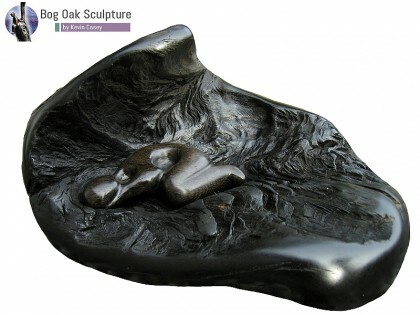 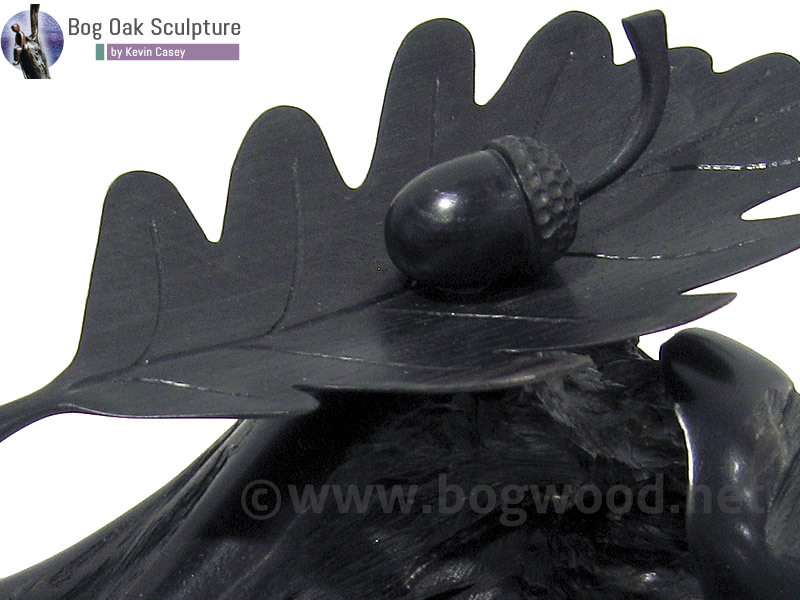 A sculptured bog oak acorn sits on top of a sculptured oak tree leaf which in turn sits on the main base section.